Students will understand how the physical geography of each community shape its identity. Students will access and retrieve appropriate information from electronic sources for a specific inquiry. 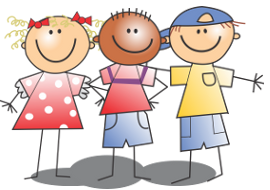 Students will prepare and present information in their own words, using respectful language. Have students use a variety of resources (books, textbooks, websites and videos) to research why people might want to visit Meteghan and what they could do there as a visitor. For some website ideas see Social Studies Grade Two, Nova Scotia and Acadian Culture. Provide students with a place to record their research, such as the brochure planning sheet. Students should write in proper sentences at the bottom. However, in the place where the image will go, they should record keywords that they can use to help them search for images that will relate to the sentence. Have students hand in their planning sheets so that you can edit them and check they are on topic. How you do step 4 will depending on your students' skill with Google presentation. I recommend creating a template that you can share with your students, such as a brochure template. Have your students make a copy and rename. Demonstrate on a Smartboard how to select the text "type here" on the template and to delete it before starting to type their own sentences (using their planning sheet). You may want to discuss what happens when your keywords do not result in any appropriate images. For example, as Meteghan is such a small village, searching "Meteghan whale watching" may not be a good combination of search terms. "Nova Scotia whale watching" might work better. Allow students time to work independently. This will likely take 1-2 lessons or days. Have students share their presentation with you. You can print them out. 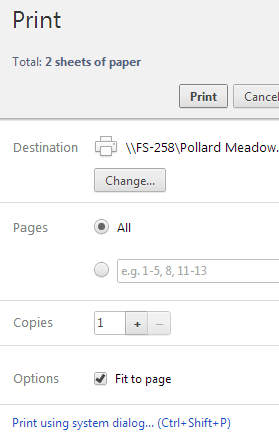 Select print using system dialog. Then select "Use "2 sided, flip on short edge". Here is an example of a student's brochure. I'd love any suggestions to improve the lesson and rubric.